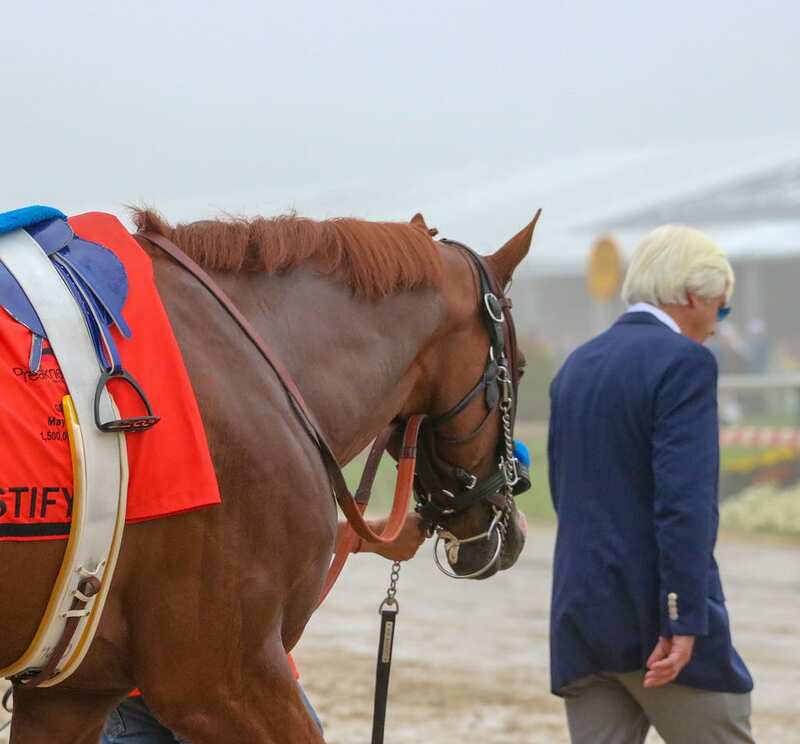 Justify at Pimlico. Photo by Dottie Miller. The National Thoroughbred Racing Association (NTRA), Daily Racing Form and the National Turf Writers and Broadcasters (NTWAB) announced this evening that Justify who became horse racing’s 13th Triple Crown winner by sweeping the 3-year-old classics of the Kentucky Derby, the Preakness Stakes and the Belmont Stakes, was voted the 2018 Horse of the Year, at the 48th Annual Eclipse Awards Ceremony at Gulfstream Park Racing & Casino in Hallandale Beach, Fla. The Eclipse Awards, honoring excellence in North American Thoroughbred racing, presented by The Stronach Group, Daily Racing Form and the Breeders’ Cup, are voted on by the NTRA, Daily Racing Form (DRF) and the National Turf Writers And Broadcasters. Pennsylvania-bred Shamrock Rose won the titel for top female sprinter, while Pennsylvania-based Jaywalk earned laurels as top two-year-old filly. Irad Ortiz, Jr., who led all riders in wins with 346 and total earnings of more than $27 million was named Champion Jockey. Laurel Park-based Weston Hamilton won the top apprentice honors.